Hello everyone, as it has been pretty quiet here in the last few months, I thought an update would be a great thing to do. In the last few months I have been working on developing new routes and a resource for bikepacking in Scotland. Bikepackingscotland.com is the result of that, and I am pretty happy with the progress so far. The biggest project I have been working on over the past months is the Central Belter, a ca. 1200 km bikepacking route starting and finishing in Edinburgh. The idea behind the Central Belter is to provide a trail that connects the three well-known bikepacking routes in Scotland, the Highland Trail 550, Cairngorms Loop and Capital Trail, and as the Deeside Trail has risen to popularity in recent months as well, this is now included in the loop as well. 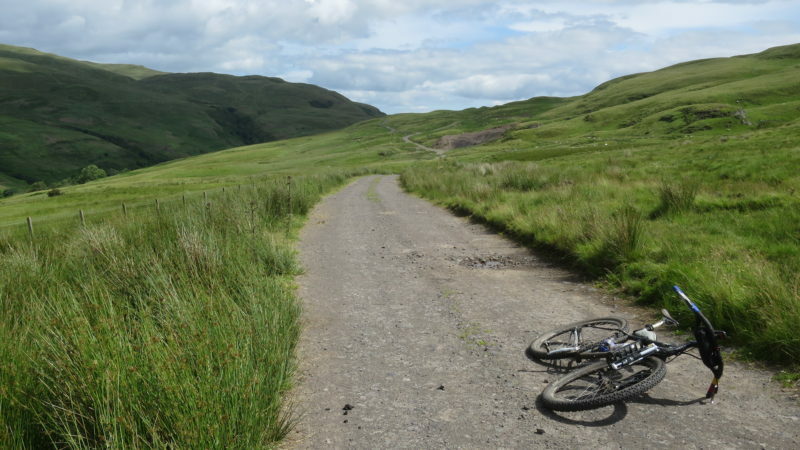 But the Central Belter is very much a really challenging expedition in itself, taking you through some amazing parts of Scotland on trails, quiet roads, gravel tracks and odd hike-a-bike sections. The route will be finished on 9 September for the inaugural group start, which is free to enter. Find out more here. The Reiver Raid is a route I was in the progress of developing when I last posted here about the shocking news of the death of Mike Hall. Exploring the Ale Water Valley the Reiver Raid is a great route to get into bikepacking, showcasing some of the finest scenery and history the Scottish Borders have to offer. The Reiver Riding Party will be the first event held on the route on 26/27 August, a more supported than usual bikepacking event. There’s still the need to navigate yourself with a GPS file and to carry your own kit. The difference is that you’ll have a nice camp spot at Whitmuir Farm at the end of day one, a nice craft beer from Born in the Borders and people to talk to in the evening. I will be there, so if you have any questions, feel free to ask as many as you like. More information about the Reiver Raid is here, and if you want to get straight to the entries for the Reiver Riding Party, go here.